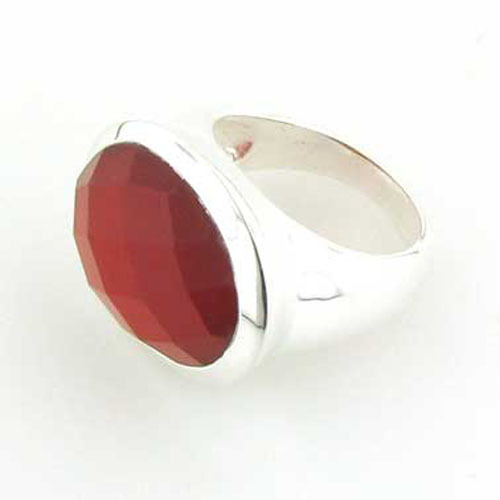 Large oval red onyx ring in sterling silver. 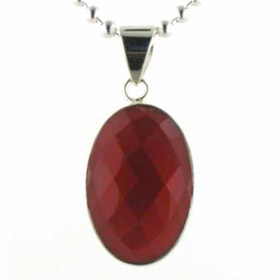 This oval red onyx gemstone is cushion checker cut and the light glances off the checkerboard surface adding sparkle and glisten to the gemstone. 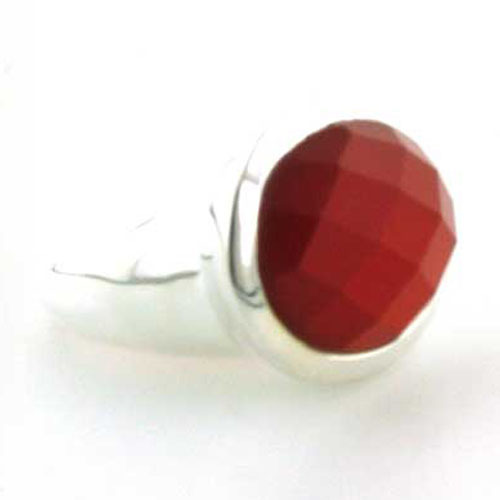 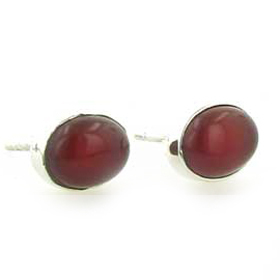 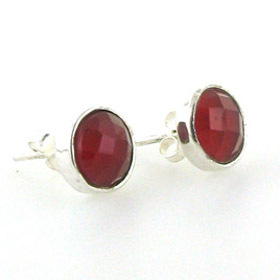 Red onyx is an opaque gemstone with rich spicey red colour. 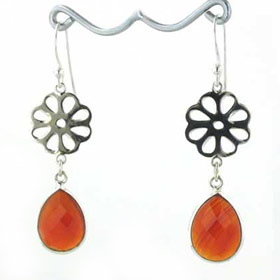 Check out our red onyx earrings and red onyx necklaces for a coordinating set. 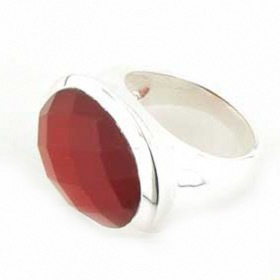 This chunky red onyx ring adds a touch of drama to your hand.